With Christmas around the corner – how would it be if we practiced presence, rather than getting busy with presents? 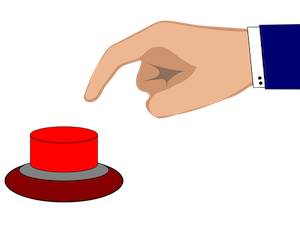 There are countless examples around us of those who are so wrapped up in life’s events that all too often they shoot from the hip, eager to press their reactive ‘red button’, or unwittingly allowing others to press it for them. Recent examples include Trump’s late night retweets, or Premier League managers Mourinho and Klopp berating referees in the heat of post match media interviews. The list goes on. We can all be quick to the trigger at times; a contentious parking space, a stranger spilling coffee, a work colleague or relative who pushes our buttons when we are already feeling fraught. Before we know it we have reacted; our ‘limbic brain’ has swung into action – pushing back, avoiding or freezing in classic flight-fight mode. And yet deep down we all know (well maybe not a certain inhabitant of the White House), there is another way. This is where a Pause for Presence comes in. How about circumventing that ancient reactive part of our brain and taking a step back, creating a space and recalibrating? The pause can take the form of a few seconds or a few minutes. Creating this space allows us the potential (on a good day!) to act with a hint of grace and poise – to begin to choose our own way forwards. In terms of the brain, this is engaging our ‘Executive Function’, in an area known as the Pre-Frontal Cortex. And what should we do in those precious seconds when we remember to pause? Well nothing special really… just notice the breath that is here within us, notice the feeling of our feet on the ground and take an internal weather check; especially around our emotions, and how our body feels at that moment. Without getting too caught up in thoughts about a given event can we instead allow ourselves to experience whatever emotion is around for ourselves. If you’re annoyed for example, recognize that emotion, and how it plays out in the body. Breathe and give yourself space to be curious just at that moment as to what’s going on without resisting or trying to change things. After this pause, we may find that our subsequent interactions and actions have a different tone and flavour. And what if we miss that moment and notice ourselves reacting habitually? Well that’s progress too. Waking up to how we act is a great starting point. Many, including myself, have found that a short daily meditation practice is a way to help us to step away from our own hair triggers in life more readily. And this is the real richness of what mindfulness offers – an awareness of our own internal state, so that we can be just that bit wiser in noticing when we really need a Pause for Presence and opening up new possibilities around how we respond. Messrs Trump, Mourinho and Klopp, I hope you are listening.